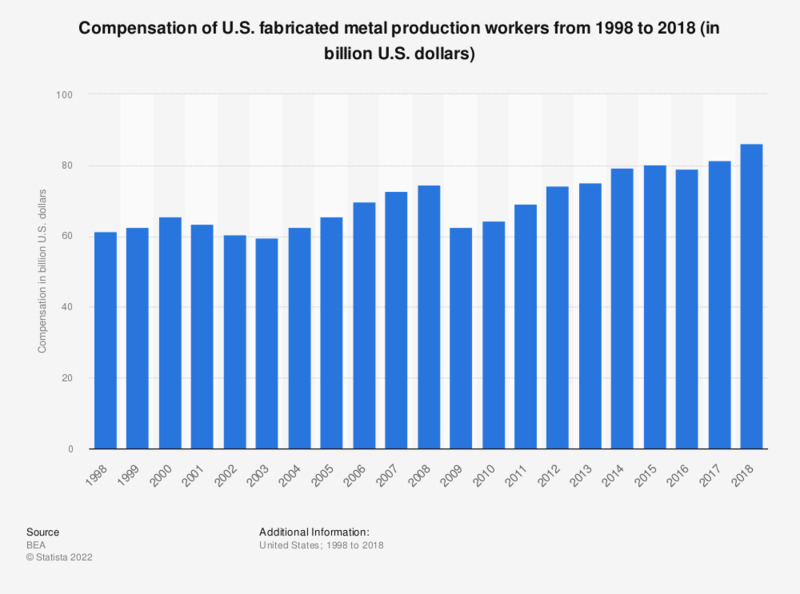 This statistic shows the compensation paid to employees in U.S. fabricated metal product manufacturing from 1998 to 2016. In 2016, approximately 96 billion U.S. dollars were paid to employees in the U.S. fabricated metal product manufacturing industry. Production workers are referred to as 'persons engaged in production' by the source.